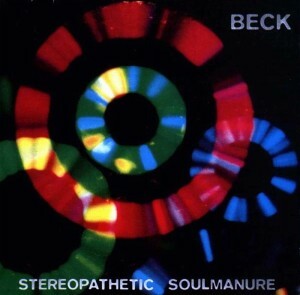 Some bag on Stereopathetic Soulmanure as an inferior Beck release, but I think it’s easily one of his best albums. It’s a little rough in patches, but the eclectic songwriting is usually good and there is even some fairly good guitar playing. Beck is all over the place. From found sounds, to noise rock, to country, to folk, he tries a little of everything. But he manages to pull it off. In fact, Mellow Gold was a big step down from the creativity on display here. Beck hadn’t yet hooked up with hip-hop producers but it’s no real loss with what is found here. Is this juvenile? Yes, of course. But it manages to faithfully capture the sense of looking for something that resonates and finding the process of the search at least as interesting as anything found along the way. This has the feel of bored Southern California kids making their own entertainment — not unlike what Ariel Pink would do a few years later. 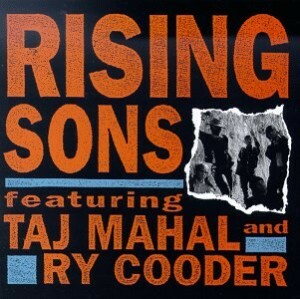 A more mature Vijay Iyer offers something the younger Iyer did not. He melds angular, modernist attacks with smooth, easy sensibilities in a way that avoids both stilted transitions and empty new age chamber jazz posturing–sometimes the nagging limitations of his early work. Accelerando features all his strengths and none of his weaknesses. It certainly helps that bassist Stephan Crump provides a very prominent drive to the music. Covering some pop music (“Human Nature”) also reveals a grounded sense of humor. Such little touches evidence the magnanimous spirit imbuing the proceedings. This is music that is as accessible as it is vibrant. 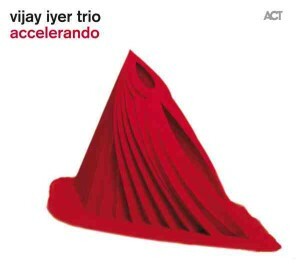 It may well be Iyer’s best offering yet. 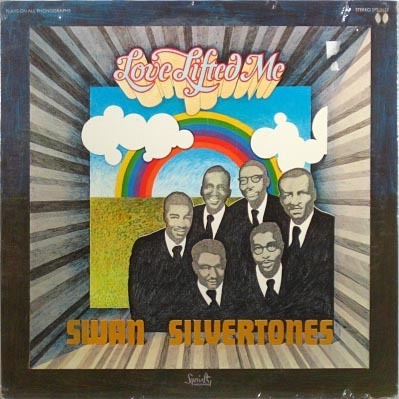 A twelve song tribute to one of my favorite musical groups, The Swan Silvertones. This isn’t a “best-of” list or anything of the sort. I just feel that this group, which was capable of just about reaching musical perfection from my point of view, is sadly unknown and as a result too many people are missing out. So, enjoy! 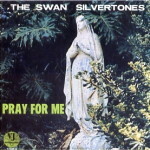 This list will be continued with The Swan Silvertones, Part II, The Swan Silvertones, Part III, The Swan Silvertones, Part IV and The Swan Silvertones, Part V. Maybe I should also mention that I have zero interest in the religious content of this music. 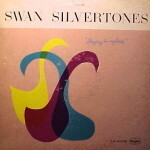 It may have a sentimental attachment, being the first Swan Silvertones song I ever heard, but this version of “Trouble In My Way” is what I consider the definitive Swan Silvertones recording. It is hard gospel, with a syncopated rhythm, tight backing harmonies and soaring lead vocals on the top. The two leads trade back and forth, and play off each other by contrasting coarser shouted vocals and smoother ones that effortlessly leap into falsetto range. I sometimes listen to just this song over and over and over again.If music has gotten better than this, I haven’t heard it. A great song that provides lots of space for impressive melisma early on, and a pronounced call & response passage later on too. Claude Jeter is without a doubt my favorite singer. There are few songs that highlight his vocals better than “Glory to His Name”. The first ten seconds alone should be enough to convince a few other people to become fans too. A track that relies more heavily on guitar accompaniment than usual. The laid-back mood here always reminds me of “(Sittin’ on) The Dock of the Bay“. I love Louis Johnson’s cracking vocals early on. The opener from the group’s best album is a fantastic slow-moving number that draws you in to the pristine vocal harmonies. Then the subversive guitar accompaniment, from Linwood Hargrove I’m assuming, keeps you in it all the way. 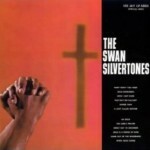 Here’s a track that shows how The Swan Silvertones could just do it better than anybody else. 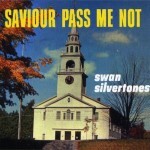 The improvised lyric “I’ll be your bridge over deep water if you trust in my name” from this song inspired Paul Simon to write “Bridge Over Troubled Water“, which is a bit of trivia that has probably brought quite a number of new fans to The Swan Silvertones’ music through the years. I love the line Claude Jeter sings that goes “I’m gonna eat at the welcome table”. His phrasing is amazing. The harmonic resolution at the very end is classic too. 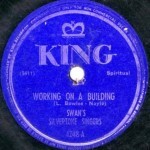 When the group went to the Pittsburgh radio station WPGH to record a number of tracks, this one among them, Art Rupe of Specialty Records sent along a letter to chief engineer Ralph Ketterer that said, “This type of performance may be foreign to you, but essentially we want the singers to sing out freely. PLEASE DO NOT HOLD THEM BACK IN ANY MANNER. If they want to shout, let them shout. If they want to cry on the recording, let them cry.” I hate to think what might have happened without that letter! 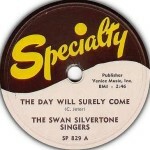 The Swan Silvertones’ earliest singles found them merely warming up, in a way. 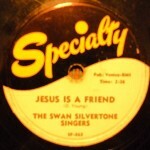 Supposedly their label didn’t support them in recording hard gospel, pushing instead for a more folk or hillbilly sound. Their earliest sides tend to fall more or less into the “jubilee” gospel style, and the arrangements are reminiscent of recordings by The Soul Stirrers and The Blind Boys from the same time period. As the 1950s rolled around, you can hear them pushing the boundaries a bit more, with the lead singers going out further and further from the backing harmonies. 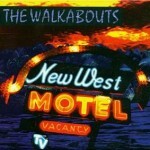 Another classic track recorded in the 1950s. Solomon Womack (Bobby Womack‘s uncle) takes the first lead. Womack passed away in the mid 1950s, and the band suspected it was because the demands of touring had taken quite a toll on him. The bass vocals on the second lead (Henry K. Bossard I think) are a cool change of pace before Rev. Robert Crenshaw launches into his wild shouting in the final lead. I have seen Henry K. Bossard credited as the songwriter of “Prayer In My Mouth”, but it is essentially the same song as “Guide My Hand” that The Dixie Hummingbirds had recorded a few years earlier. 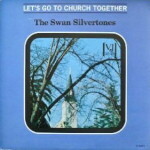 Let’s Go to Church Together is perhaps the most subtle Swan Silvertones album. It might be live judging from the sound, but I can’t confirm that guess. It’s not the place to start, but it’s great place to end up. 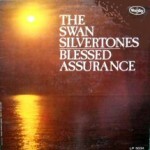 The arrangements on The Swan Silvertones’ full-length albums had grown quite complex by the early 1960s. From their eclectic Saviour Pass Me Not album, “Bye and Bye” is just another great, upbeat song of which The Swans had no shortage. The Swans could do it all. This song finds them singing against a pronounced rock ‘n’ roll backbeat. Not much of a leap between this and soul music. The group’s sound would increasingly move in this direction, especially after about 1966 or so. 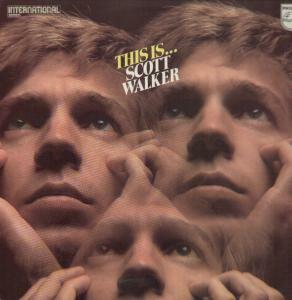 A “virtual” single-CD overview of the music of Scott Walker. He most definitely has more than one disc of great material, so this necessarily leaves off a lot. I’ve tried to make sure important aspects of his music are represented somewhere, though not always as fully as each one deserves. 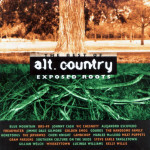 A primer highlighting the development of Insurgent/Alt Country music, meaning the genre that blended country with punk, alternative rock and the like. While primarily a phenomenon of the 1990s and early 2000s, it can be traced further back, and its roots extend even further back into the closely related but still somewhat different “country rock” genre. It tends to appeal to more urban and middle-class audiences than other types of country, and might even be called the “gentrified” version of country music. One of the earliest country rock bands. They didn’t record much, and released almost nothing during their existence. Nonetheless, a talented group that influenced many through their live performances. Not the first country rock album (at the least, International Submarine Band beat them to it). 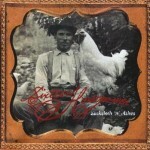 But this remains the most popular early country rock album. Probably the pinnacle of the country rock genre. Note that Gram Parsons is starting to be involved with a lot of these albums. 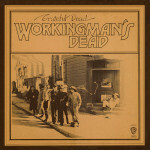 The Grateful Dead took a surprising turn with Workingman’s Dead and developed a bluegrass and country inflected sound. They played a key role through the years in maintaining an interest in country music amongst rock audiences. A completely left-field effort, that is as much or more “folk” and “rock” than country. Thompson also was in the Band Saddlesore, which released one single (“Old Tom Clark” / Pig Ankle Strut”) that is a candidate for the very first insurgent country release. 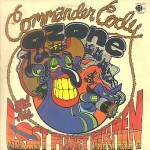 Though Commander Cody and His Lost Planet Airmen tend to be associated primarily with the “outlaw country” movement, songs like their version of “Hot Rod Lincoln” were starting to inject a little more crazed rock ‘n roll energy into country rock. 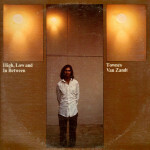 Townes Van Zandt is probably the earliest example of the attitudes and sentiments that would dominate much of the golden age of alt/insurgent country. Much of his material is fairly called straight country, or at times even of a folky singer-songwriter variety, but on High, Low and in Between he started using more rock-oriented instrumentation. 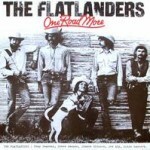 The Flatlanders took what Townes Van Zandt suggested and ran with it. 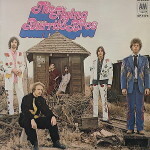 They paired a more retro early country flavor (think Carter Family era) with a lyrical sensibility that suggested they were also listening to the psychedelic rock the hippies were playing. Their first recordings didn’t see a proper release for eight years, after member Joe Ely had hooked up with The Clash — which is a testament to how the sensibilities of insurgent country represented the common ground between rural folk and urban counterculture of the punk era. It would be unfair to ignore the contributions of both mainstream acts and female artists to country rock. 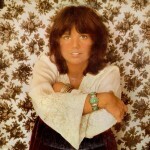 Linda Ronstadt blended country with pop (and rock) into a smooth, professional “L.A.” sound that bore many similarities to later insurgent country acts like The Jayhawks, Cowboy Junkies and even Alejandro Escovedo, particularly through an emphasis on detached expressions of personal identity in music that rarely appeared in “straight” country. 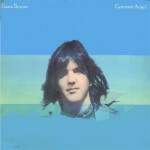 Gram Parsons was all over many of the earliest country rock albums. His contributions, both solo and in various groups, cleared a space in which the foundations of insurgent country were laid. He had a well-heeled, if somewhat troubled upbringing, and was something of a problem child who strayed from the most probable career path his elitist educational background would suggest, which actually says a lot about the social milieu that developed and gravitated toward country rock, etc. 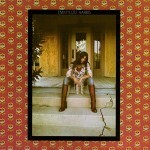 Emmylou picked right up where the late Gram Parsons left off, and brought an even more exquisitely sensitive voice to achy, twangy American folk music played over rock rhythms. 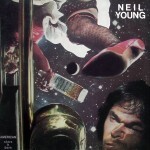 Coming within a stone’s throw of insurgent country is this “black sheep” of the Neil Young catalog. It’s not all country, but the parts that are inject a particular type of bleary, raucous rock sensibility that would carry forward into the actual insurgent country era. 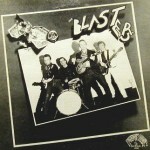 Although not exclusively “insurgent country” in sound, The Blasters were part of the earliest efforts to bring the energy of punk together with country music. Many L.A. groups were involved with the evolution of the music. American Music was one of the first examples of a recording you could start to clearly differentiate from country rock. 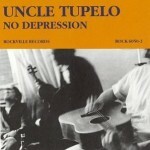 Further efforts to explore country music alongside punk and psychedelic influences. 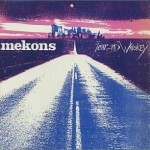 Punk legends the Mekons delved into what some call “cowpunk”. 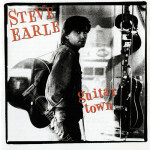 Sort of the curmudgeon of the genre, Steve Earle also is frequently cited as one of its best songwriters. After some substance abuse problems, he bounced back in the 1990s during the heights of the movement (I Feel Alright, etc.). 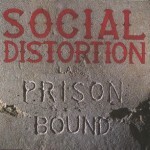 Not as talented as songwriters or performers as many other alt-country types, Social Distortion still did connect a lot of punk rockers with country influences. 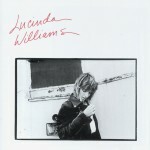 Lucinda Williams was one of the more critically acclaimed singer-songwriters of the golden age of alt country. 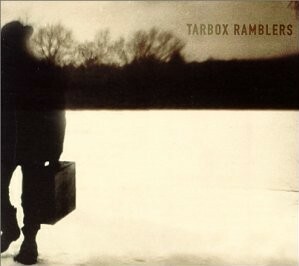 Her self-titled album from 1988 helped introduce country trappings to a “college rock” audience; later albums like Car Wheels on a Gravel Road (1998) were even better. 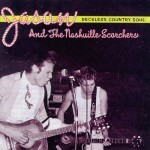 Insurgent/alt country was for the most part under the radar through the 1980s. 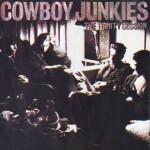 But Cowboy Junkies definitely raised its profile. The more pop leanings of the group helped in that regard. Although by no means the group’s best album (that would probably be Anodyne), No Depression really was the clarion call for the golden age of insurgent country. Band members Jeff Tweedy and Jay Farrar later went on to form other influential groups. 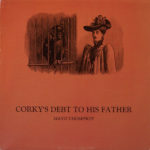 The name of the album comes from a song (“No Depression in Heaven”) popularized by The Carter Family, and the leading magazine of the genre took the same name. From this point on there was no denying that there was a broad and distinct “insurgent country” movement underway. 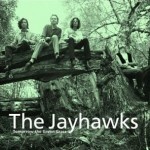 The Jayhawks were one of the more polished alt country groups. 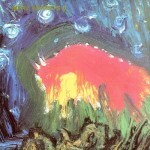 Like The Blasters, their interests went beyond just country, but The Jayhawks had a more mellow pop sound. 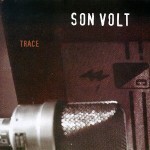 Jay Farrar started Son Volt after the breakup of Uncle Tupelo, and carried on with a similar sound. Emmylou moved away from Gram Parsons-style country rock toward more straight country in the 1980s, but then made a comeback within the insurgent country fold in the mid-1990s. 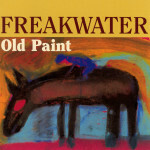 Freakwater focused on “old timey” country, with more modern lyrical sensibilities. 16 Horsepower played goth country. 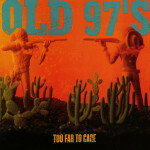 Old 97s were one of the most loved insurgent country groups among audiences traditionally associated with “college rock”. They were capable of better songwriting than most. Led by Ryan Adams, Whiskeytown brought smooth pop and “heartland” rock sounds into the fabric of country music, with a laid-back demeanor but still capable of rocking a little harder too. Adams went solo in short order. 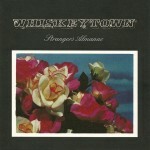 Strangers Almanac was one of the more accomplished album-length statements in the genre. 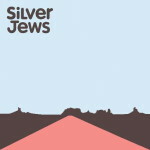 Among the more left field alt country groups (a territory also inhabited by Calexico and others), Silver Jews were sort of like country plus krautrock. 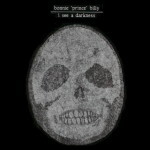 Will Oldham, a/k/a Bonnie “Prince” Billy, was another of alt country’s oddballs. He makes clear the connections between that genre and indie rock. Imperfect, but if you must have a sampler set this might satisfy you. 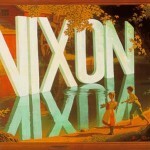 Lambchop are somewhat of an oddity, not clearly aligned with the insurgent country movement, but present throughout it. Kurt Wagner’s enigmatic vocals have made them a favorite of fans lucky enough to discover the group. Neko Case arrived during the height of the insurgent country movement, and won over a lot of fans with her voice and songwriting. Her later material is more indie rock than country though. A sometimes overlooked gem from sort of the tail end of the insurgent country golden age. 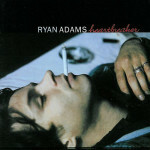 Though perhaps fame went to his head, Ryan Adams was surely among the better songwriters of the alt country world. 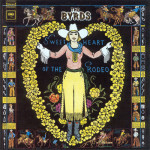 Heartbreaker is indicative of much of the last throes of the golden age of alt country, with more slower tempos and torch songs. He would, however, still occasionally kick things up a notch, as he did later on Jacksonville City Nights, for instance. 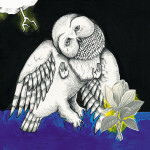 As insurgent/alt country shifted further towards a twangy version of indie rock, few acts had the earnestness, pathos or songwriting abilities of Jason Molina and Songs: Ohia — a band that subsequently assumed the name of this album. 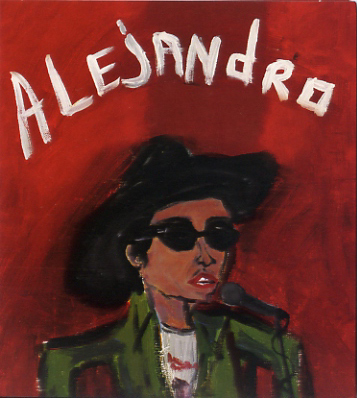 Alejandro Escovedo was named by insurgent country magazine No Depression as the musician of the decade in the 1990s. It’s a fitting title, as he was one of the most talented and consistent voices of the movement. 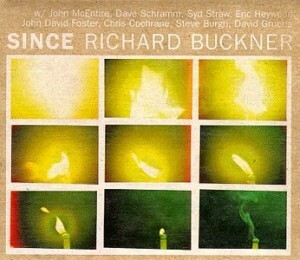 His studio albums have tended to fall a bit short of the energy of his live performances, though Por Vida comes closest to the feel of his shows — which were hardly ever the same twice. It bears mentioning that one of Alejandro’s studio albums like Thirteen Years, Gravity, or A Man Under the Influence might be a better starting point though. 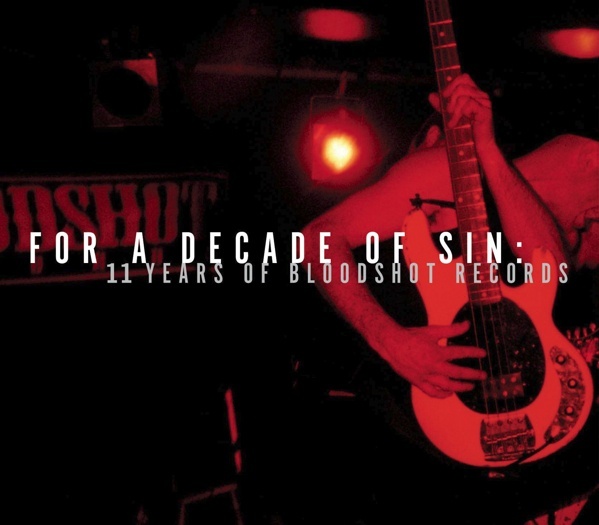 A look back from the leading record label of the movement. A joke, surely, but a meta-joke above all. 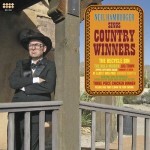 This is the country album William Shatner never made. The strangeness. The red diaper. The moustache and goatee drawn on with marker. Surely, if you’ve read any other review of John Boorman’s Zardoz, or even seen the movie, these things are all common currency. Despite that critical debris, or maybe even because of it, there is cause to look at little deeper and further. Surely, this is an unusual movie. But it’s also not as unprecedented as many reviewers claim. It was unusual mostly by the standards of Hollywood businessmen. And who should care for those standards? 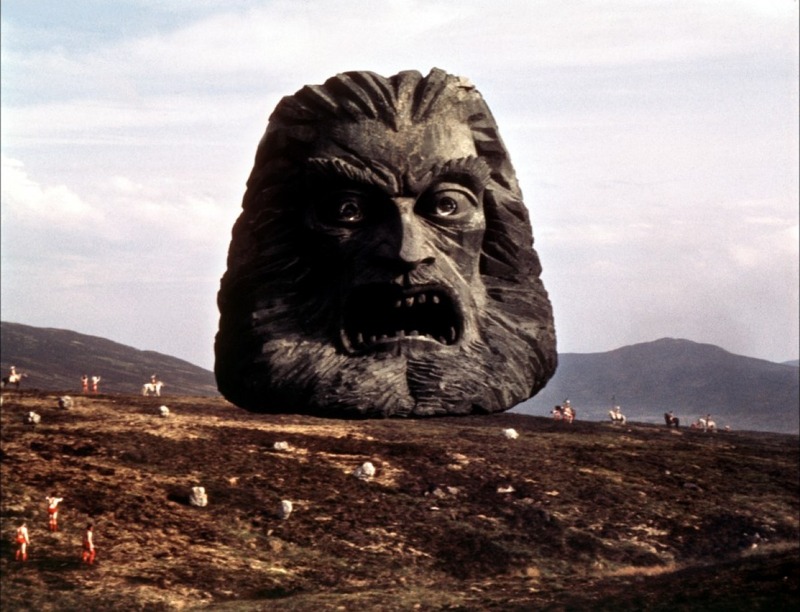 Zardoz primarily concerns itself with a dystopian future as in Beneath the Planet of the Apes, but fueled by the sort of elite/destitute class conflict that drives Fritz Lang’s Metropolis, as well as the psychological escapades populating Alejandro Jodorowsky’s El Topo or The Holy Mountain. Yet, here, the emphasis is on a unique sci-fi setting, one that recalls the likes of 2001: A Space Odyssey, and even Silent Running. But, really, the greatest influences seem to come from literature. There is a healthy dose of Aldous Huxley’s Brave New World (incorporated approvingly), a touch of H.G. Wells’ The Time Machine, and something of an attempt to rebut the sort of thinking that inhabited Thomas Hobbes’ Leviathan. There is a bizarre endorsement of violence as essential to human character, but seemingly in line with a Rousseauian pessimism about civil society representing a decay from the nobility of primitive culture. There is something wrong, flawed, in this. As an attempt at something meaningful, though, it’s intriguing. Nasser finds Piketty’s overall analysis flawed and muddled, because it is politically naive and neglects such factors as the role of worker and citizen militancy in promoting equality. The thrust of the critique is that Piketty is in an awkward position where he fails (or refuses) to grasp the implications of his data, and rules out alternative political solutions for reasons he does not justify. He labels Piketty essentially a neoliberal, yet still commends him for avoiding its “essentially apologetic assertions, the big ones that count[. ]” Nasser comes at this from a perspective reminiscent of sociologists Frances Fox Piven and Richard Cloward (Poor People’s Movements: Why They Succeed, How They Fail). It’s an analysis that Nasser fortunately backs up with a substantial number of historical references and well-documented countervailing theories. Can’t wait for Nasser’s new book to arrive. Palley discusses the surprising popular success of Piketty’s book in English translation. “The book’s timing is near-perfect because of awakened political interest in inequality, but its empirical findings are not revolutionary and rising income and wealth inequality have been documented for years, albeit less comprehensively.” The tone of Palley’s review revolves around Piketty’s insistence that he “discovered” recent trends in inequality, when in fact many others have documented that phenomenon before — albeit less extensively. In this regard, Piketty made such a “discovery” no more than Christopher Columbus “discovered” an inhabited continent. Palley provides a useful compendium of sources that pre-date Piketty’s work and which tend to emphasize economic and political power (institutional factors) over the “growth” approach of neoclassical economics. Points out that Piketty’s key arguments have been made by others like Thorstein Veblen long before. Like Alan Nasser, this article also suggests Piketty is ignoring the role of unions and militant activism in relation to economic inequality. The curious may also want to read Eric Zencey’s New York Times Op-Ed from April 11, 2009, “Mr. Soddy’s Econological Economy,” which made essentially the same points based on the work of Frederick Soddy. Endorses Piketty’s efforts and data collection, but faults him for his confused neoclassical theories. Goes so far as to say Robinson and Sraffa won the Cambridge Capital Controversies debates (this is in Jacobin Magazine), but actually provides a substantive analysis in support of that conclusion and how it applies to Piketty’s work. The most significant conclusion here is that Piketty’s data does support the idea that “r” (rate of return on capital) does seem to remain relatively unchanged over time, but “g” (rate of economic growth) does change and the data shows a tendency for it to be lower relative to mid Twentieth Century levels. The result is that large income inequalities, and ultimately large wealth inequalities, are the norm not an exception. Ackerman then returns to the idea that a neoclassical, marginalist r > g focus basically misses the real drivers on a theoretical level. When this review turns to alternative theories and data, rather than pure critique of Piketty’s book, the analysis is curt and less clearly explained. An entire issue of this journal was devoted to a critique of Piketty’s book. An interview with Piketty in which he acknowledges some of the points raised in the reviews above.